BentSpoke Brewing Co and Canberra’s Hopscotch venue have partnered with Yes!Fest to create a ‘very Braddon’ brew to mark the one year anniversary of the vote for marriage equality. BentSpoke co-owner and brewer Tracy Margrain said the specially brewed beer will be featured during the Lonsdale Street festivities in Canberra tomorrow. 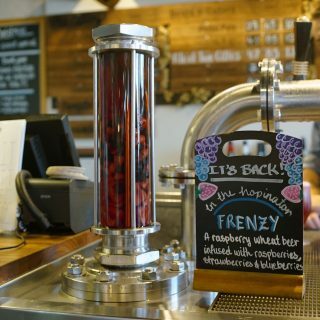 Margrain described the raspberry wheat beer as refreshing and tart, with an extra fruity kick delivered by an infusion of strawberries, raspberries and blueberries in the Hopinator. “We chose the Frenzy as the Yes!Fest beer because it challenges traditional definitions of beer and starts conversations. We thought this aligned really well with the heart of the Yes!Fest celebration,” Margrain said. Hopscotch co-owner Nick Parkinson said she was proud that Hopscotch played such a central role in Canberra’s celebration of the yes vote in 2017. Endeavour Brewing Co. announced this week the release of a new “zesty” pale. 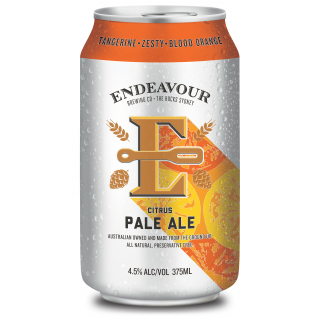 The Endeavour Citrus Pale Ale is a fusion of its signature pale ale, tangerine and blood orange. In keeping with its philosophy of “unearthing the best that Mother Nature has to offer”, Endeavour Brewing Co experimented with six different citrus; including lemon, lime and grapefruit, before settling on a combination of tangerine and blood orange. Founder Ben Kooyman described the beer as “incredibly sessionable” with “a little blood orange sweetness that’s wonderfully balanced by the tangerine bitterness”. Endeavour Citrus Pale is brewed with Galaxy and Ella hops and medium Crystal and Munich malts. Modus Operandi has released Tropic Haze, its final national limited release for 2018. An unfiltered pale ale at 5% ABV, MO Tropic Haze is dry hopped with Galaxy and Citra. 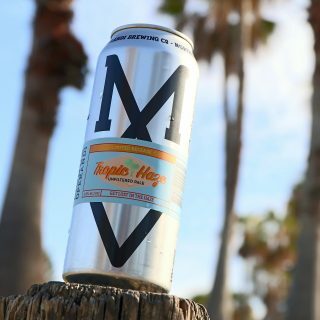 MO Tropic Haze will be available nationally on November 23 at venues including Bob’s Bar WA, The Rails Byron Bay, Grape & Grain VIC, Franklin Hotel, Scratch Brisbane and MO HQ in Mona Vale.